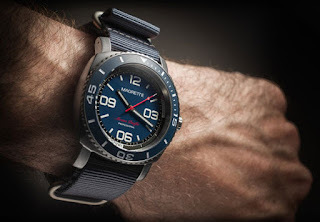 HOROLOGY CRAZY: Magrette is 10..
Magrette is celebrating its 10th anniversary. Congratulations to Magrette. In conjunction with its 10th. 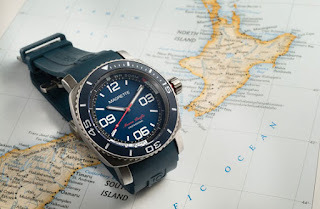 Anniversary, it will be releasing a Limited Edition watch in the Moana Pacific Professional Kara. The Moana Pacific Professional Kara is Magrette's latest premium dive watch and celebrates the brand's 10-year anniversary. Kara (pronounced "cat-rah") is Maori for "flag" and references the use of New Zealand blue, red and white as the color palette. Blue also represents the surrounding waters of the Tasman Sea and the Pacific Ocean. The association with the national flag and colors underscores the deep pride Magrette takes in being a New Zealand watch brand. This watch introduces a Grade 5 titanium case (noted for its superior tensile strength and surface hardness) for the first time in Magrette's dive collection. In addition to titanium's exceptional corrosion resistance and high strength-to weight ratio the Kara is built for the toughest aquatic environments with a water resistance rating of 500M, large screw-down crown with safety alert collar, scratch resistant sapphire crystal, and engraved ceramic bezel insert. 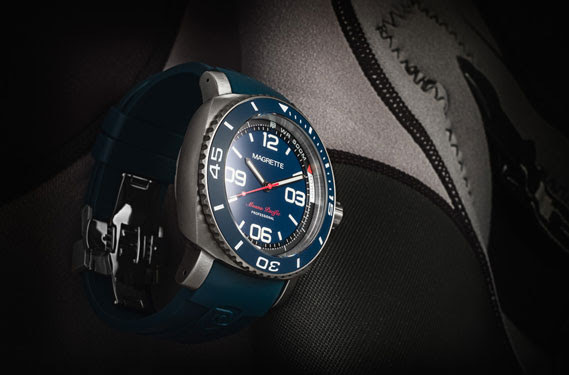 The Moana Pacific Professional Kara is powered by the automatic Caliber STP-11 from Swiss Technology Production SA. This movement along with a new custom winding rotor is visible through a sapphire casebook, another first in the Moana Pacific Pro legacy. MOVEMENT: Swiss Made Caliber STP-11 automatic movement with hacking seconds, 28800bph, manual winding, Incabloc absorption and Nivaflex NM mainspring. CASE DIMENSIONS: 44mm excluding the crown, 53mm lug-to-lug, 15.3mm tall, 24mm lug width. CASE FINISH: Brushed Titanium grade 5 (brushed) with stainless steel case back. BEZEL: Ceramic (matte finish), engraved and fully lumed. CROWN: Screw down crown with red safety alert collar. 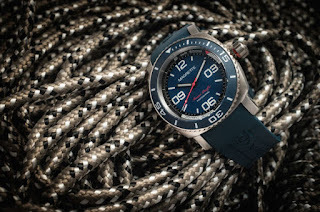 DIAL, HANDS & BEZEL: Super Luminova BGW9 (blue in color). 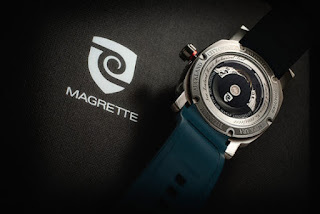 STRAP: All new blue FKM rubber integrated strap with logo, name and customized deployant buckle. Is there a name for this shape of case? kinda like a squircle but with sharper corners? I just got a Casio with the same shape, it is the AMW 707, and I really like it. I believe this is some sort of cushion case.